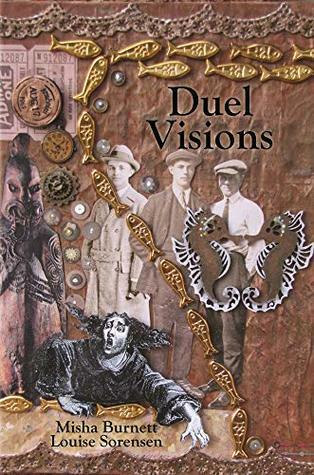 This anthology gathers a mix of published and unpublished stories by Burnett and Sorensen, spanning the genres from overt horror to the almost meditative. ‘Black Dog’, Misha Burnett: The new custodian of a cemetery notices several different people taking the same dog for a walk: does the owner merely have lots of friends or is something stranger behind it? While Burnett slowly builds a sense of the weird, the star of the story is its protagonist, a man struggling beneath the dual burden of having his successful life torn apart and being expected to fulfil responsibilities as if it hasn’t. This focus on character rather than twist is likely to keep the tale enjoyable for readers who have worked out the truth before it is revealed. From throwing my back out at the end of december through the mad dash of making sure that Duel Visions, the Spring Cirsova, and the Illustrated Stark were all ready to go, I somehow missed the announcement for the Planetary Awards! If you’re a book blogger of any sort, you can nominate something! Update: Awww, heck, looks like I was a day too late to remind everybody. There are only a few hours left to nominate stories for the 2018 Planetary Awards, so it’s time for me to get my short story nomination in. I have a potentially career-changing event happening tomorrow, which is good, but it means I don’t have much time to devote to tonight’s post. I originally wanted to post my thoughts on a dozen or more short stories, but I’m going to grab my top three based on a quick gut feel and just mention those. I considered stories from Heroic Fantasy Quarterly, Broadswords and Blasters, and Storyhack.